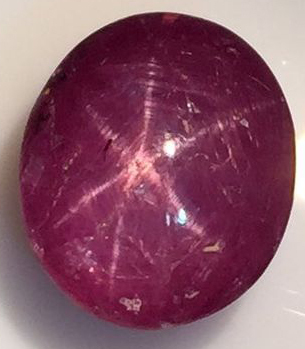 Star Ruby the gemstone is a rare variety of ruby that displays a sharp six-rayed star that shimmers over the surface of the stone when it is moved. This property is known as asterism and is due to aligned needle-like rutile inclusions. The stones can range in color from pinkish to orangey or purplish and brownish-red. Without an ink swab at our disposal, just what exact color or properties the ink will display remains unclear. 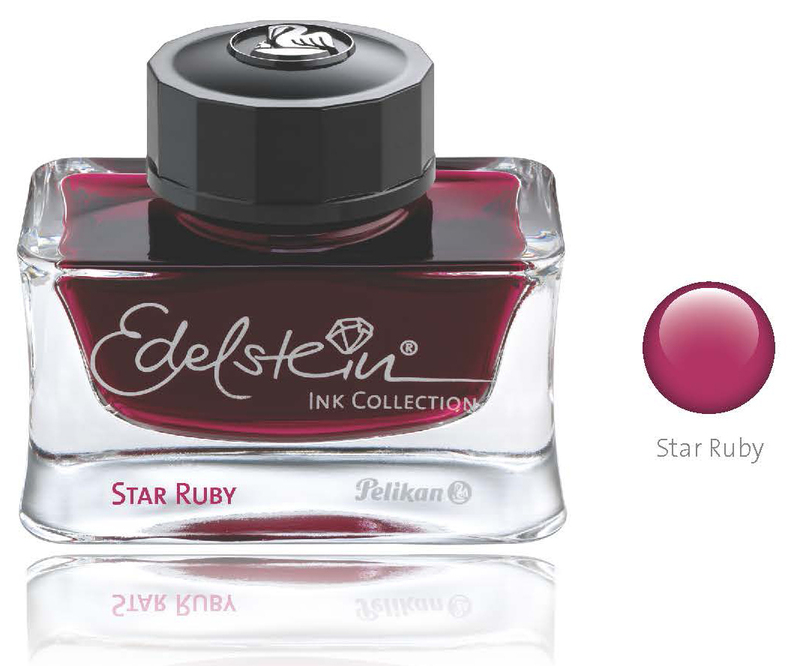 The ink looks to be more of a burgundy color with some pink undertones per Pelikan’s description. It kind of looks like a cross between Turmaline (plum) and Amethyst (purple) to my eye. Interestingly, there is already a Ruby in the standard line-up but that is more of a brighter red color than what this appears to be. Star Ruby will most likely be available in 50 mL bottles and is anticipated to be produced for a limited time only. I don’t expect this to be available in cartridge format. While not yet announced, I think that we should also expect a complimentary M2xx Star Ruby demonstrator to follow sometime later in the year. I would suspect that Pelikan may go with the chromium trim of the M205 for this one as I have a feeling that would be the most complimentary color combination. Of the four companion pieces to date, we have had three M205s (Amethyst-2015, Aquamarine-2016, and Olivine-2018) and one M200 (Smoky Quartz-2017). What are your thoughts on Star Ruby? Is this a shade you can get behind or is it an ink that won’t be too hard to pass up? I like red inks and red pens. So, this year it will be hard to pass the M2xx demonstrator. Although, I’d much rather it be a M200, since for me the gold trim complements the red(dish) well. But, I’d take a M205 without problems. They could as well adopt a theme and give us a red M8xx that I’ve been waiting for ages (I wouldn’t mind a blue M815 either). You’ve got quite the wish list there. I wouldn’t mind seeing a few of those become reality. Sure would be neat if Pelikan had a program where you could custom design a pen. Note if you visit the factory outside Hannover, Germany, they have a Make-A-Wish-Nib program where they will custom grind/fit a nib to you. But I believe that’s nibs only, not mixing and matching pen sections, etc. Ditto Luiz on those M805s!! Thats what i would love to see! Mmmmm, a ruby red M2xx demonstrator! That would definitely get me excited. I like the look of this ink, just to the purple side of red with, as you say, that tinge of pink. If it lives up to the photo, I’ll be happy with it. I’ve really liked the past few demonstrator pens in the M2xx series; Pelikan has a way of getting good strong, but subtle colours, and not making them too light. By contrast, many other companies have demonstrators that are either neon horrors, or a little too unsaturated in colour for my taste. I completely agree. The Amethyst, Aquamarine, Smoky Quartz, and Olivine demonstrators have more or less been spot on. Looking forwards to seeing how this one translates. I love it! In fact, I love the way Pelikan inks write and I love my Pelikan pens. They rank at the top of “My favorites” list. Ah yes. Next up, the IOTY 2020: Rose Quartz, because it’s another pinkish-reddish tone and the name is so comfortably close to something that’s already been there. Honestly, I would have preferred a real pink to this. But maybe it turns out great after all. Will have to wait to see but I can understand your skepticism. My first thought was “been there done that” but I’m going to keep an open mind and see what the swabs show. These renderings make it so hard to judge color accurately. Can’t wait for this. We’ve enjoyed Olivine and I’m totally into Smoky Quartz these days. Totally. As I recall these don’t actually appear until later in the year but when we in Germany in January we will start looking. Film at 11. The target release date is March which has been consistent with past IOTY limited editions. Good luck tracking some down. Yet again jealous of your travels. It looks interesting. 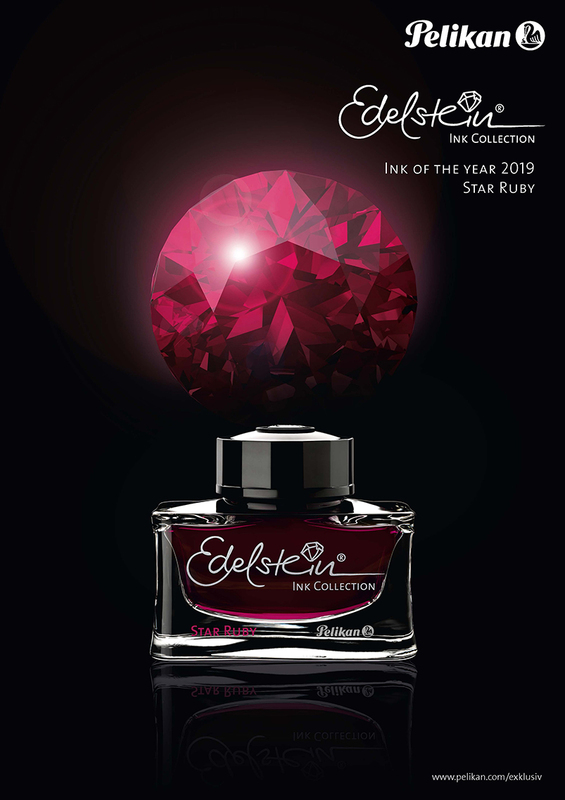 I wonder how close it will be to J Herbin Rouge Opera. It’s a red that leans a bit pink. I’d like the demonstrator to be a true red. That would be awesome. I don’t own a Pelikan demonstrator. Rouge Opera looks more pinkish to me but will have to wait and see a swab to two to know for sure. 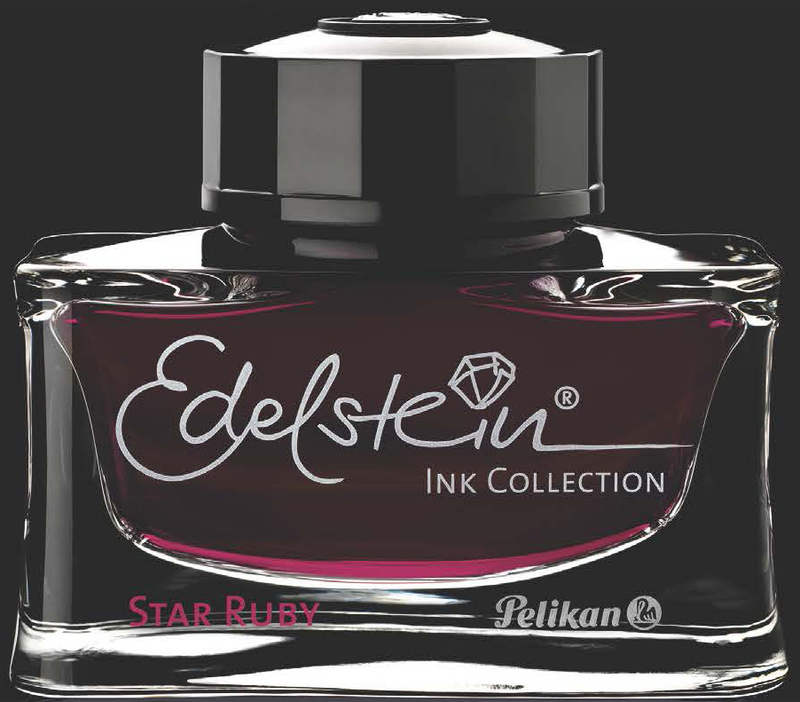 Pelikan demos are great and I’m looking forwards to the Star Ruby. Should be a great looking pen if they get the color right. I saw the color last night and my first thought was “that will be my next Pelikan m2xx!” The trim is not an issue. I use a lot of different “reds”, black Swan, black cherry, black widow. A little different than the run of the mill reds. Sounds like the hopefully forthcoming Star Ruby pen will be right up your alley then. I was hoping for a shade like this! I will definitely buy it and hope for a matching demonstrator pen also! I’m looking more forward to the demo than the ink. I hope they get it right. Should look great if they do. I will most likely do the same for the same reason. Pelikan really has a way of getting their beak into your wallet. Amazing how they can get you to buy something that really isn’t your thing. I have to say though, every time I have, the product has grown on me. It seems like this is a direct response to Yama Budo. I could see the folks at Pelikan getting miffed at having their high end pens being run with someone else’s flagship ink instead of theirs and wanting to do something about it. Haha. I think there is room for all of the inks out there. I love the variety available to us and that is certainly one of the benefits of using fountain pens. Will have to wait until next month to see just how Yama Budo like Star Ruby is. Certainly looks like it could be a beautiful ink but only time will tell. Can’t wait to see some real world photos. 2019 Star Ruby; 2018 Olivine; 2017 Smoky Quartz; 2016 & earlier ??? You can find the info you’re looking for on my page about Pelikan inks which you can find here. Thanks. Will bookmark that link. Very helpful. Some time ago, I was very fortunate to find an M600 Ruby Red online and immediately bought it. The new “star ruby” will look gorgeous in it! That’s a hard M600 to come by these days. I think that you’re right though, that would make a great pairing. I may have to try that out myself.